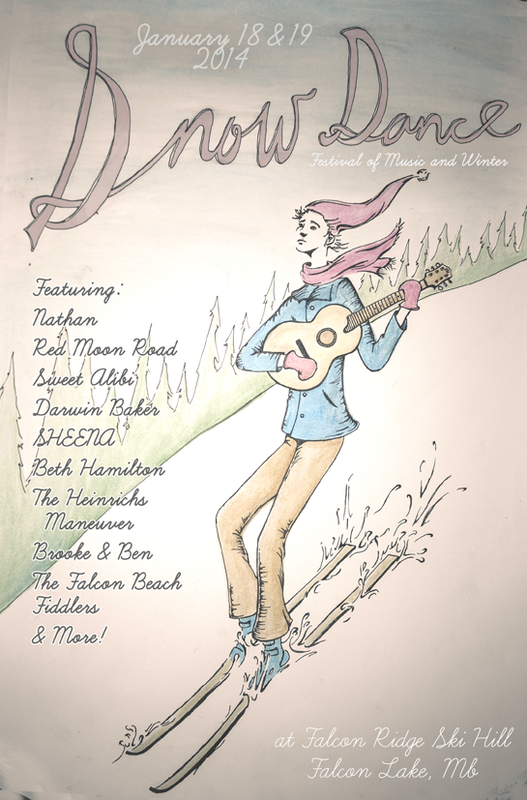 Falcon Ridge ski hill is gearing up to host the third annual SNOWDANCE Festival of Music and Winter again this year, and the date has been set for January 18 and 19 2014! 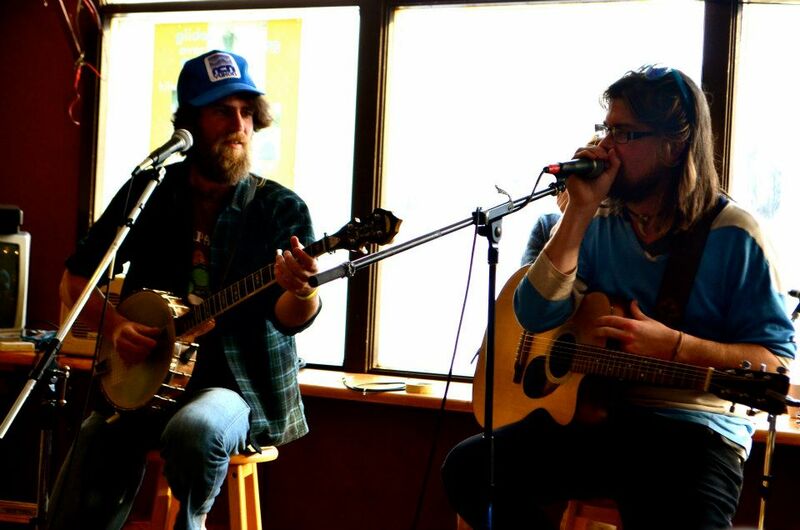 Music has long been a part of the Falcon Ridge Ski Hill experience, with a staff comprised of about three quarters touring musicians, and a year long concert series hosted at the resort, it only makes sense that the two worlds be combined in a ski hill winter music festival, and if we’re lucky all this music and dancing will appease the snow gods and we will be rewarded with a season of that white stuff we love so much! 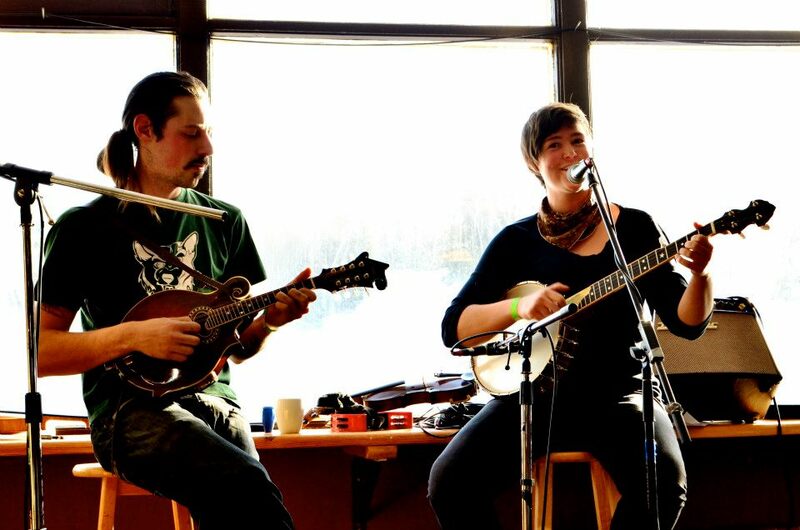 January 18 & 19 will bring two days of concerts, festival style workshops featuring winnipeg favourites Nathan, Red Moon Road, the Sweet Alibi, Darwin Baker (of the Crooked Brothers), Beth Hamilton, as well as some local talent to include Brooke & Ben, the Heinrichs Maneuver, and a fiddle concert featuring students from the local school. Photo by Cheyenne Rae Music Photography & Video. In addition to the music, folks visiting the festival will be able to enjoy downhill skiing and snowboarding, tubing, x-country skiing, ice skating, outdoor campfire and a bannock bake, snow sculptures, night tubing, great food from the on site kitchen, and an organized sauna and polar bear swim. Tickets for the weekend are $35 which include full access to the two days of music, a lift ticket, a night tubing pass, and all the outdoor fun you can dream up! Individual day passes are also available. For more info, go to the website at www.falconridgeski.com/snowdance.php, including a full lineup for the weekend, prices, and videos from last year’s SNOWDANCE! This entry was tagged Event, experience the whiteshell, Falcon Lake, Falcon Ridge Ski Area, Falcon Trails Resort, Festival, Music, Ski, Snowboard, SNOWDANCE, whiteshell provincial park, Winter. Bookmark the permalink.